Brown adds to the Reversal story. I wrote Brown in response to a weekly free write challenge on Ad Astra where the subject was pests. I had established a rodent infestation on the Defiant in Reversal, and had originally intended for the mice to be a bit of comic relief (after all, the Star Trek Mirror Universe can, at least in my fan fiction, be overwhelmingly negative and dark), but they took on lives of their own and became more of a symbol for the chaos and inattention to detail that I’ve laced the MU with. The Empress Hoshi Sato‘s sleeping around is partly, canon, partly my own doing. I envision her as a bit like Livia in Suetonius, who has unparalleled ambition for her offspring. But for Hoshi, it’s also a matter of survival. She seduces the upper-level men on the Defiant, has a child with them and, if they have even a shred of decency, they will work to at least ensure the survival of their own child. The story put the two concepts together as Hoshi is followed not too long after the end of the events depicted in Reversal, and she is pregnant by Aidan. But she’s not the only pregnant female aboard, as she has found. 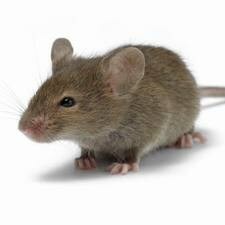 I have experienced mice infestations, and they can get rather bold. There’s also a feeling of invasion, where it seems a bit like your home is no longer your own. For Hoshi, the mice also symbolize a breakdown in authority. All she wants is for the mice to be gone, and they just seem to be multiplying. For Aidan and Chip, shown here a little bit like two partners in crime – which is a role they often fall into in the Prime Universe – the presence of the mice symbolizes a bit of subversion. It’s a small victory for them to see Hoshi squirm. The story is rated K but there are some fairly adult concepts in there. I like how it turned out, and I particularly like the economy of words.